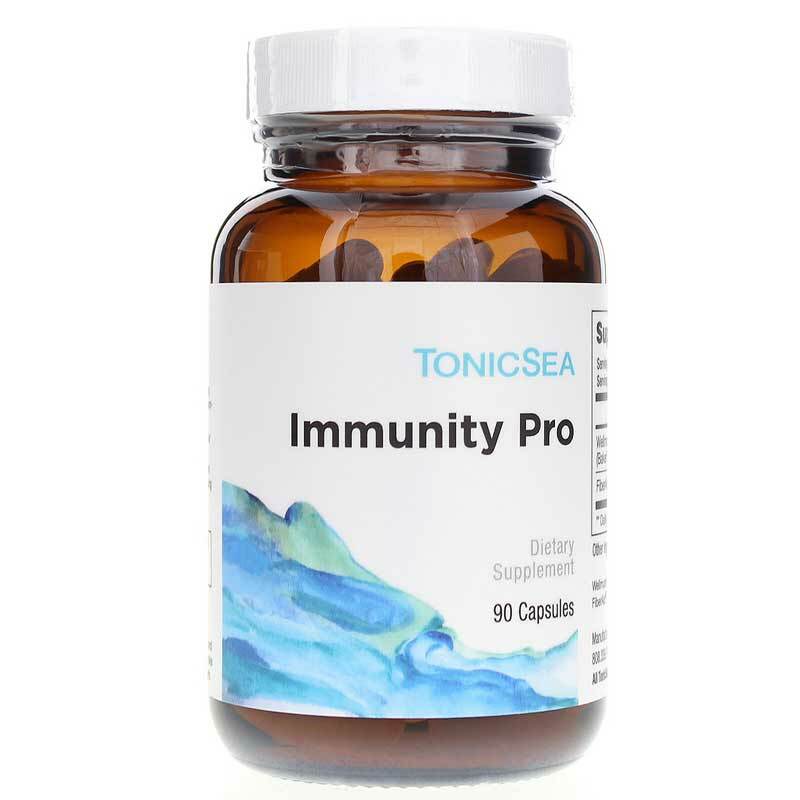 Immunity Pro by TonicSea is an all-natural immune support formula designed for active adults. Proper immune function is crucial in adults, especially as we age into our later years. Humans have two basic types of immunity: innate and adaptive. Innate immunity launches an immediate, broad-spectrum attack against any immunity threat present. Adaptive immunity, on the other hand, takes longer to kick in and produces a specific response to a particular invasive agent. Immunity Pro by TonicSea was created with two key ingredients in mind -- Wellmune and FiberAid. Wellmune contains a highly purified form of beta-glucan, which supports both innate and adaptive immune function. 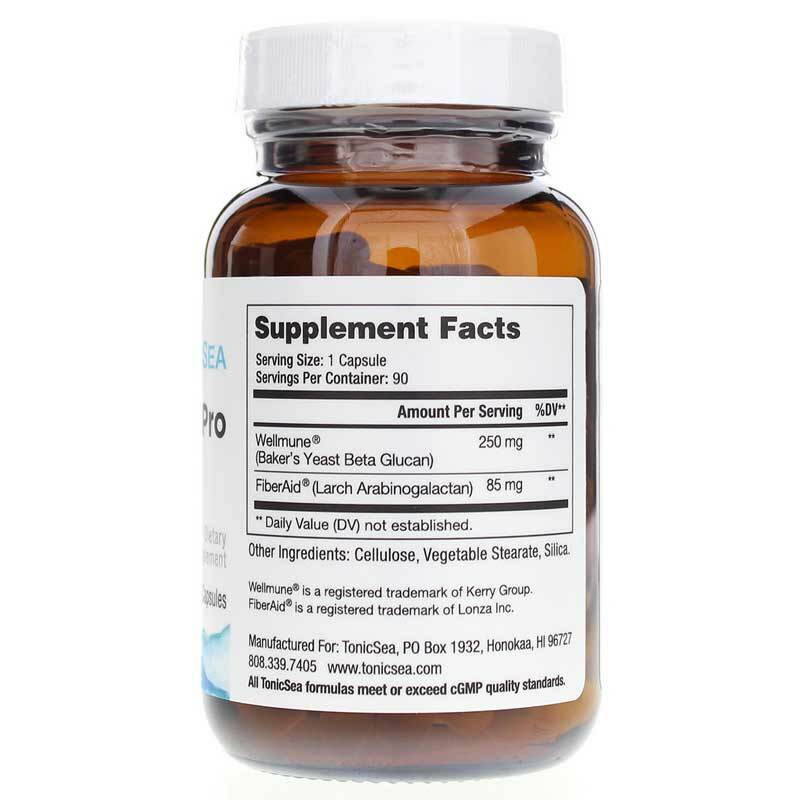 FiberAid is a potent type of dietary fiber found in larch trees which has been found to act as a prebiotic, nourishing your gut with beneficial microbes. Healthy gut bacteria are imperative for healthy immune function. All TonicSea formulas meet or exceed cGMP quality standards. 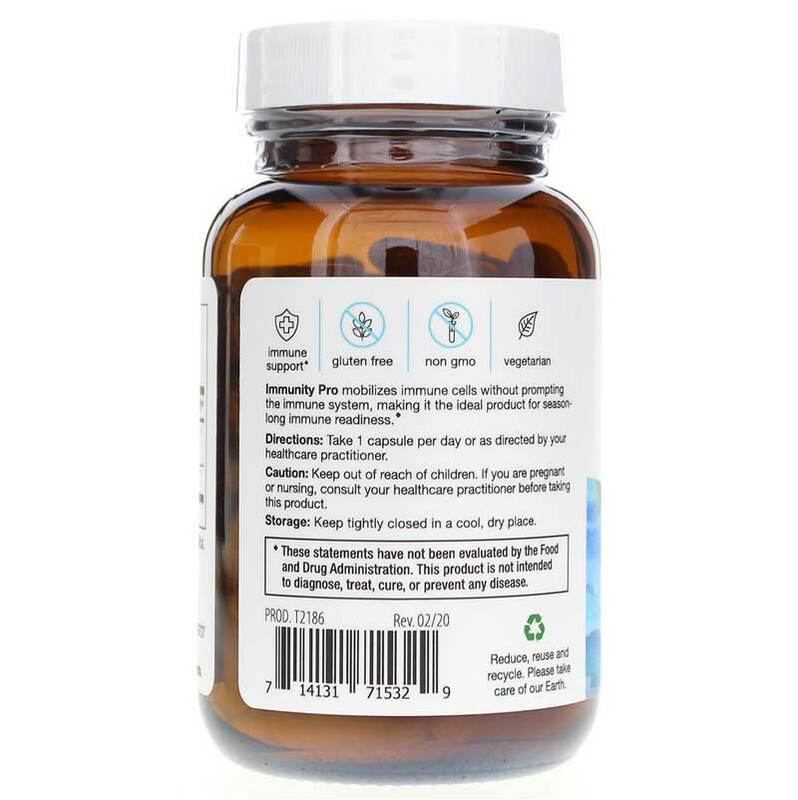 Adults: Take 1 capsule per day or as directed by your healthcare practitioner. Keep out of reach of children. If you are pregnant, nursing, or taking medication, consult your healthcare practitioner before use. STORAGE: Keep tightly closed in a cool, dry place.